I was introduced to the 'wood to paper to wood' art pieces made by British environmental paper artist Hannah Lobley via Twitter. While a student of Decorative Arts and later Applied Art and Visual Culture at university, Hannah accidentally left a book outside in the rain. 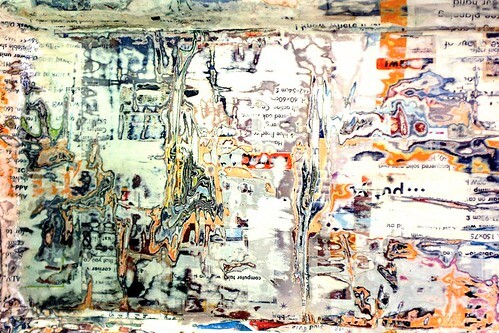 This led her to develop a unique process of bonding unusable printed pages and transforming the hardened substance into wood-like objects via traditional woodworking methods. produced using waste paper provided by employees. Hannah's Paperwork career has spanned the past decade, yet she continues to be surprised by the variety of wood grain effects that result from converting different types of paper. 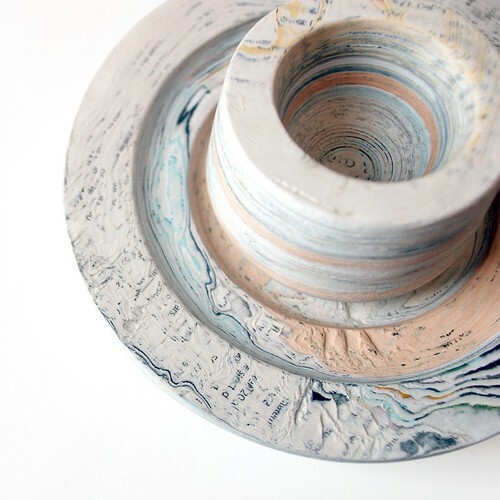 The award-winning sculptures Hannah creates attract those who share her love of art, books, design, and of course, concern for the environment. Paperwork objects have been exhibited in the U.K., France, Germany, Japan, China, and Korea, featured in books, magazines, on television and radio, and can be found in permanent collections in Leeds, England and Chicago. 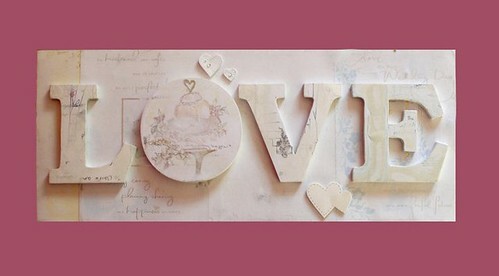 Below, a couple's wedding cards were beautifully transformed into a first anniversary present. Each piece takes four to six weeks to complete, no matter its size. This decorative cup and bowl were produced from expired account ledgers. Was it the stuck together pages that caused you to think of a specific way you could do the same to all discarded paper or was it the waste of a good book that made you determined to find a way to bring new life to unwanted books in general? Both. I had been layering and laminating different woods into blocks and shaping them during the last year of my BA and first term of my MA, so layering pages seemed like the most natural thing to do. Although pages were thinner than wood and there were more of them, I was intrigued to see how this changed the patternation, with the added prospect of the textured surface of the pages. 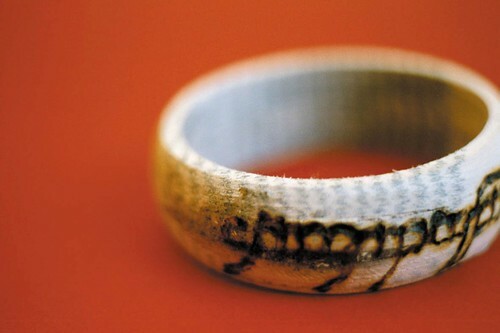 A ring made from the wet, ruined book that started it all. The book was Lord of the Rings, one of my favourites. I couldn't bear it to go to waste and actually produced a large scale version of the ring. 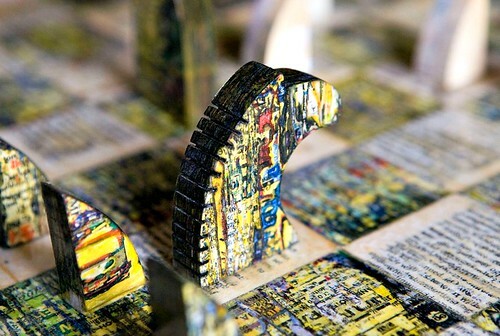 I like the idea of shaping a block of book in relation to its original subject or the information that is encapsulated in the piece. What part of the process of creating a Paperwork object is your most favorite? Turning it on the lathe and sanding the surface. 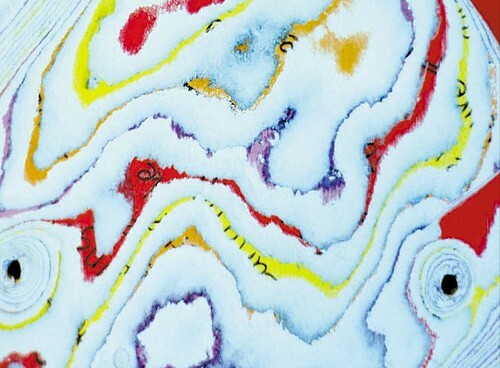 I love the uncovering of the texture and pattern as each one is different and I can't control what will happen. It's a bit like discovering the grain when you cut into a piece of wood; until you look inside you don't know what is there. 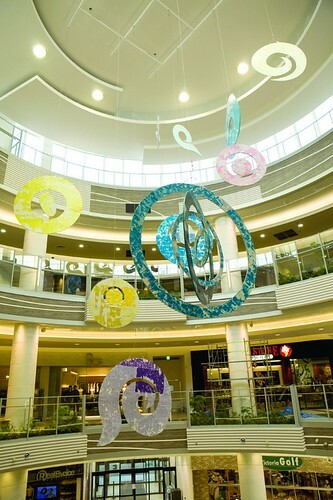 Wind and Wings, a commissioned eco-artwork that hangs in AEON Lake Town in Tokyo, Japan's largest and eco-friendly shopping center. 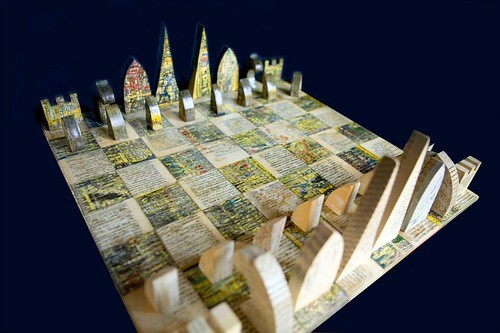 It was created from recycled cardboard and 12,000 A4 sheets of waste office paper. Do you have a least favorite part of the process? Gluing the pages together, layer by layer. It can be therapeutic, but you do have to be in the right frame of mind. Put some good music on and switch your brain off! 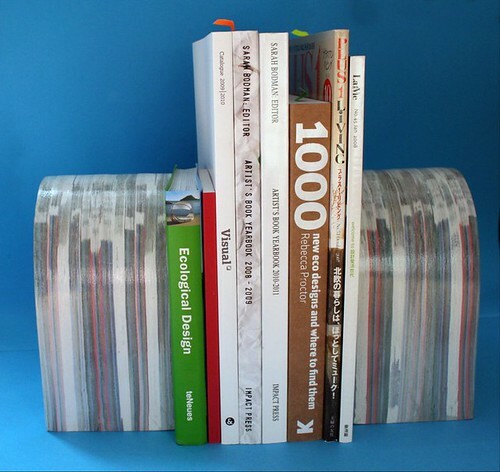 Chunky Book Ends utilized expired university course brochures. Hannah can be contacted via her website and is on Facebook and Twitter. Those are gorgeous! Thank you for sharing them! I think my favorite is the bookends. Marvelous work. I like how expansive and creative she is. Truly amazing. !!! Such beautiful textures!! 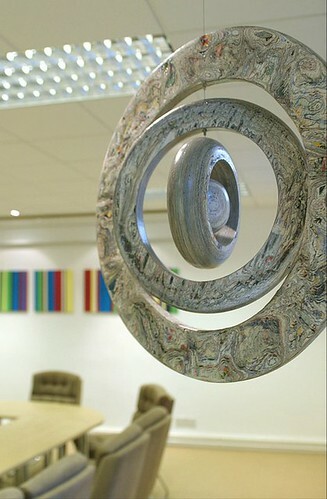 The marble effect of the large rings in the boardroom is fantastic.